Clover Soap is mildly scented with white clover honey fragrance oil (for those of you that are looking for vegan products, there is no actual honey in this soap, tho). 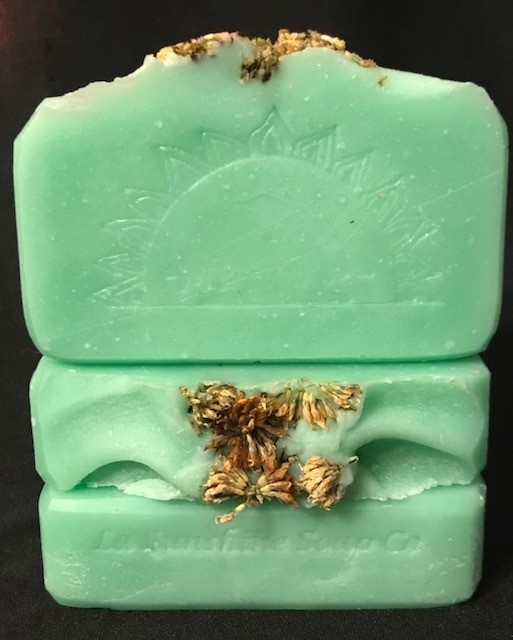 Wild harvested, dried clover blossoms sit on top of this very unisex, fresh scented soap. Need a hostess gift for a St Patrick's Day party in March? This would be a great gift to bring with you.